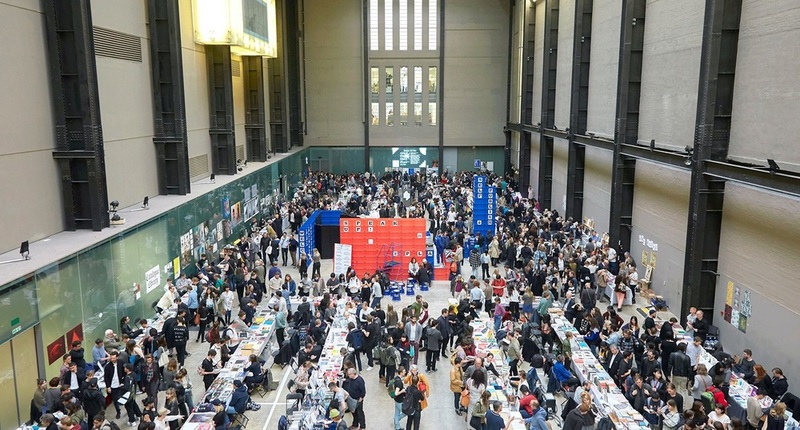 Housed within the Tate Modern’s Turbine Hall, the art book fair Offprint London attracted self-publishers, artists, graphic designers, bloggers, writers and book enthusiasts from around the world to present their wares. Offprint Projects, best known for establishing Offprint Paris l has earned a reputation for curating a diverse mix of printed matter that aims to evolve the definition of art publishing. The boundary between publication and art object often difficult to discern. The emphasis on photobooks at Offprint London was one of the many connections to photography and photographers that also found parallels throughout the city in the inaugural Photo London art fair running in unison. The Tate Modern’s photography and international art curator, Simon Baker was instrumental in realising Offprint London. Intent on providing a direct and open engagement between creatives and their projects with the general public, Offprint London’s philosophy stands in contrast to traditional museum models approaches purporting a certain distance when dealing with art. The accessible and intimate nature of the fair was its greatest attribute. With just under 150 stall holders presenting a variety of editioned and unique publications, topics concerning print runs, binding and printing techniques, paper quality and distribution could be overheard in every corner of the venue. A shared love and excitement for the physicality of books was omnipresent. Offprint London highlighted the embrace and rise of independent publishing that has coincided with an increasingly digital age; a consequence of the search by creatives for new, autonomous exhibition platforms. 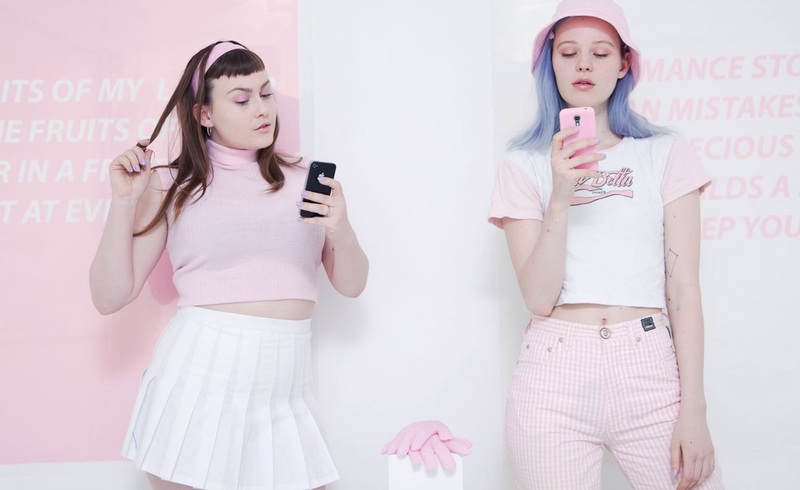 Artists Arvida Byström and Maja Malou Lyse hosted aerobics classes as creative selfie-stick tutorials. Best in show stalls included Artisan Books’ presentation of hand-crafted publications, upholding age-old artisanal practices. Also from the United Kingdom, Nobody Books’ offering of self-published works by leading photographer – and self-publishing poster boy – Stephen Gill continued to ensure his photography was presented to his specifications. With somewhat of a cult following, fans lined up to have their copies signed by Gill in person. GOST Books included the work of iconic photobook photographer Martin Parr in ‘Hong Kong Parr’. Additionally, local educational institutions were present. Unearthing new talent, the London College of Communication and Royal College of the Arts (RCA) presented work from their Visual Communication and Printmaking programmes. Taking its name from the transparent envelope used to package zines, Italian based BlisterZine had a table full of beautiful treasures. Focusing on art and photography in their publications, ‘VOLTA’ was the most captivating. This unique handmade book covered in hand painted Finnish birch was created by Francesco Carone. Inspiration for the book’s content was taken from the Italian painter Giotto’s gold leaf paintings from the 1300s. 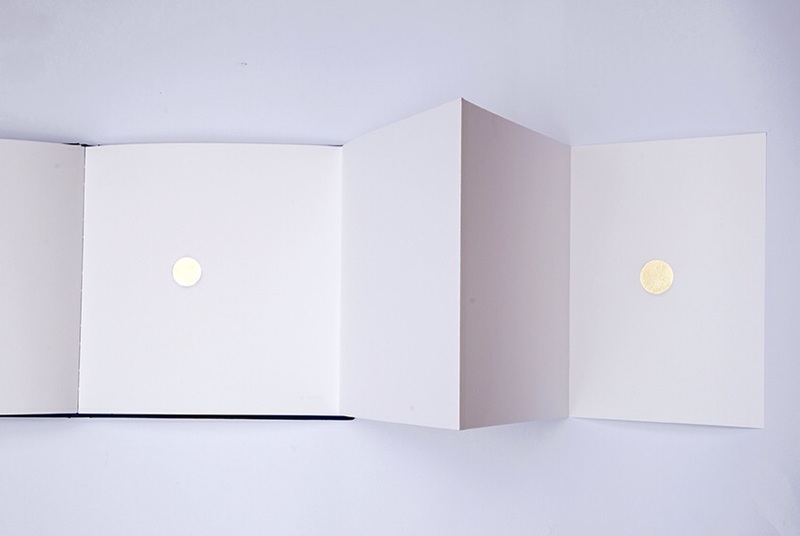 Very simply on the white paper, gold circles danced across the pages in differing constellations existing as a contemporary re-interpretation of halos and planetary maps. Specialising in the “creation of curated provocative contemporary titles by emerging avant-garde photographers”, Éditions du LIC’s slick publications on display at Offprint London included the work of French photographer Tiane Doan na Champassak. The artist was present to sign the pages of her publication "Sunless" that depicted monochromatic images of urban architecture and the human form captured on Ilfochrome film. Founded in 2007 by designer Winfried Heininger, Swiss art publishing project Kodoji Press’ motivation to establish a communicative platform for non-commercial projects was clear. A selection of high quality artists' books were on display. Titles by artists such as Stephanie Kiwitt and Peter Tillessen were of particular interest. “HELLO IS IT ZINES YOU’RE LOOKING FOR” emblazoned across Catalogue Library’s tote bags at their stand signalled a call to action. Encapsulating the ethos of the zine most succinctly, Catalogue Library provided a range of simply printed zines made from basic materials with fun messages. The Netherlands had a strong contingent with stands by Foam Magazine and seasoned book fair participant Roma Publications. Founded in 1998 Dutch artist Mark Manders (who represented The Netherlands at the 55th Venice Biennale in 2013) and graphic designer Roger Willems, Roma Publications’ active collaboration with artists, writers, designers and institutions was evident in their varied offering of books ranging in large and small print runs. Portugal-based artist-run publisher Pierre von Kleist Editions presented their specialization of photo books. Duo André Príncipe and José Pedro Cortes’ publications are distinguished by a drive to push the limits of photography in print via a globalised perspective. The sequential, narrative style imagery expressed in José Pedro Cortes’ photographs in ‘COSTA’ and ‘THINGS HERE AND THINGS STILL TO COME’ were standouts. Conveying a reportage approach, each book was akin to a poetic road trip through the landscape of Lisbon and urban jungle of Tel Aviv respectively. Melbourne’s multifaceted Perimeter Books – existing as a bookstore, art space and publisher – represented Australia with a plentiful offering. Noteworthy publications from their Perimeter Editions included the newly released ‘Composite Journal #2/2015’ which featured the couple Fiona Lau and Kain Picken behind the Chinese fashion label and art project ffiXXed, ‘YOU’ exploring Australian-born artist Polly Borland’s distinctive photographic practice focusing on the human form and ‘Everyday’ examining Melbourne-based artist Emily Ferretti’s paintings limited to an edition of 700. Publishing stalwarts such as American-based Semiotext(e) – best known for its introduction of French theory to American readers – and Argobooks from Germany, were also present imbuing an academic tone through their art theoretical, political and philosophical titles. Argobooks is responsible for founding the FRIENDS WITH BOOKS book fair in Berlin and regularly partners with curators and public institutional programming. Fresher entrants such as Paper Journal and RRose Editions showed real promise. Founded by Patricia Karallis, Paper Journal began as an online platform that has organically extended to print. Paper Journal’s ‘Paper Journal Best Of Instagram Vol. 1’ photobook on display derived its content from Instagram, embracing the intrusion of the mobile phone camera in everyday life. RRose Editions invited LA based artist Sean Raspet to present his interest in chemistry via a didactic artist book that acted as an art project in itself, highlighting the expansive mix of stalls at Offprint London; a rich mélange.